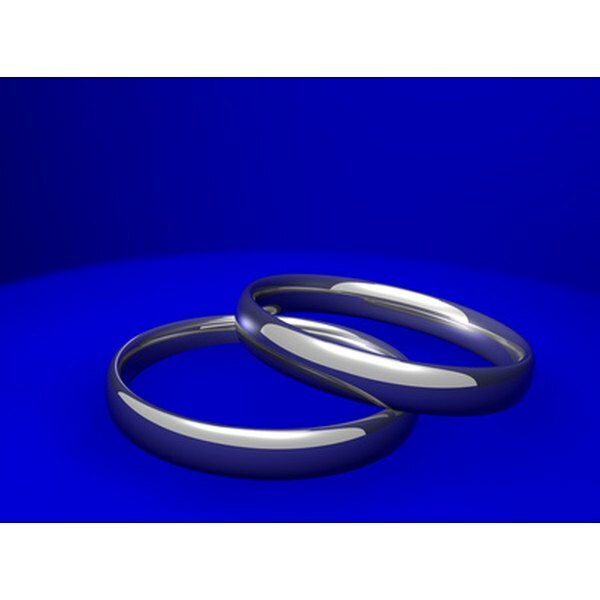 Rings symbolizing a wedding anniversary. If you are looking for a way to liven up a 50th wedding anniversary party, games may be a good solution. Wedding anniversary games will not only help break the ice among guests, but will celebrate the happy couple while being fun and interactive for everyone. Some games involve preparation ahead of time and others don’t. Choose two or three that suit the happy couple and are easy to organize. Ask guests ahead of time to bring a picture of themselves as a couple or from their wedding day with their name on the back. Collect all the guest’s pictures as they arrive and write a number on the back. To play the game, have guests number a piece a paper for the number of pictures you have collected. Walk around the room with the first picture. Have guests write down whose wedding picture they think it is. Continue this for every picture. Once all the pictures have been shown and the guests have their answers, read the answers aloud. The person with the most correct answers wins. To play this game, you will need to coordinate with the happy couple prior to the party. Ask the couple 20 questions about their relationship. Questions about their first date or how they met will work best. Once the party is in full swing, read the 20 prepared questions to the guests. Have them write down their answers. The guest with the most correct answers about the happy couple wins. How Well Do They Know Each Other? 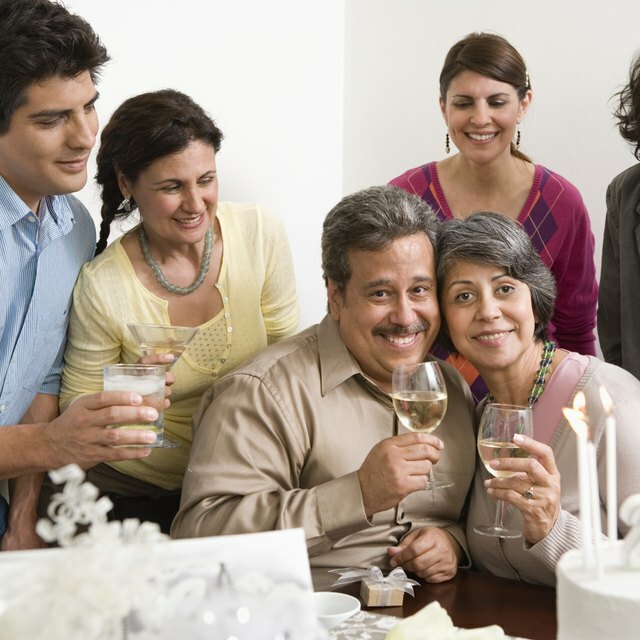 For this 50th wedding anniversary game, ask each part of the happy couple 20 questions prior to the party, such as, “What is your wife’s/husband's favorite food?” Make sure to instruct the couple not to tell each other what they answered. At the party, have the husband sit in a chair at the front of the room facing his guests. Guests should guess how many answers the husband will answer correctly about his wife. The guest who guesses the correct number of answers wins. Repeat this process with the wife, and see how many she gets right about her husband. Award a prize for the guest who got it right. This game works best if you have music at the party. Ask all couples to come to the dance floor. Start playing music. Yell out number one. Couples who have been married more than one year may remain on the dance floor, while couples who have been married less than one year must sit down. Continue calling out numbers in order until there is only one couple left. They win for being married the longest.